The generic name for Dilantin is phenytoin. It’s an oral medication which can also be injected. It’s manufactured by Pfizer. Brain cells need to work or “fire” at a certain rate to function normally. 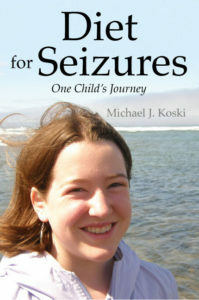 During a seizure, brain cells are forced to work much more rapidly than normal. Dilantin helps prevent brain cells from working as fast as a seizure requires them to. The cells are prevented from all firing together in uncontrollable surges, therefore seizures are stopped just as they’re beginning. Usually there is little or no change in normal brain functions when recommended amounts of Dilantin are used. What is the history of Dilantin? Chemist Heinrich Blitz invented Dilantin in 1908. His intent was to create a chemical that would prevent convulsions during electric shock treatment. Phenobarbital prevented convulsions, as did some other drugs, but they were also strong sedatives. Blitz sold the formula for Dilantin to a pharmaceutical company, Parke-Davis, soon after developing it and Parke-Davis is now a subsidiary of Pfizer. In 1938 a group of scientists discovered that Dilantin could control seizures and didn’t sedate the patients. In 1953 the FDA approved its use for seizure treatment. What are the side effects of Dilantin? Common side effects are dizziness, drowsiness, vision problems, balance difficulty, tiredness, abnormal involuntary movements, constipation, abdominal pain, loss of appetite, nausea and vomiting. Rashes can occur in between 1 in 20 and 1 in 10; some may be severe. Skin darkening happens in some women. Unusual hair growth on the arms and legs and less commonly on the trunk and face have been reported, this is an irreversible condition. Antiepileptic medications have been associated with suicidal thinking and behavior. What is the average Dilantin dosage and cost? There are 50 mg tablets which are triangular and yellow. The 50 mg capsule is white with a colored band. The 30 mg capsule has a pink band and the 100 mg a red band. It’s also available as a suspension (125 mg per 5mL). The dosing is very patient-specific, it can be once, twice or three times a day. Doses are often adjusted to find the correct level, based on blood measurements. If you miss a dose take it as soon as you remember, but if it’s almost time for the next one skip the missed dose and resume your usual schedule. Never double-dose to catch up.